Concrete pavers, sometimes referred to as paving stones, are used for patios, driveways, and walkways. You've probably walked over them at the mall or at a family restaurant you've recently been to. 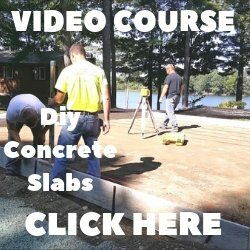 Deciding which concrete paver to use could be a difficult task. They come in many interlocking shapes and textures to choose from. One of the big benefits of using interlocking pavers is that they can be removed and re-installed relatively quickly compared to concrete. 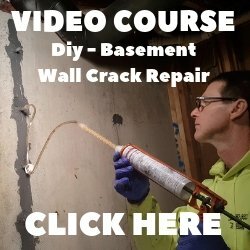 This reduces the downtime of any future repairs that may be needed. Using concrete patio pavers for your backyard patio is a quick and convenient way to install a patio that can be put into use the day the pavers go down. 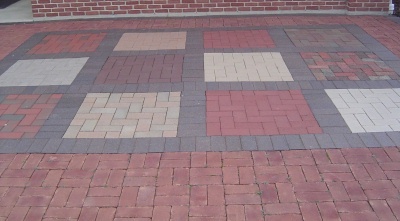 Concrete interlocking pavers are manufactured in many decorative styles. The classic octagon style is very popular and the roman style mimics a granite stone. There are a lot of earth tone colors that will blend in nice with your landscape and you can even mix different colors together to create borders or other interesting patterns. Installing a good gravel base is very important when installing interlocking pavers. Digging out the original soil and using gravel or sand that can be compacted so the pavers don't move will help keep maintenance to a minimum. Paving stones for residential use are usually 2 1/2 inches thick. With a good base these will handle most all weight requirements, even driveways. They do make pavers 3 inches thick if you think you need something stronger. Using cement pavers is a good way to install a concrete patio. If you want to learn about some other options click on the links below.